Wrightsville Beach homes are located on one of the most sought after islands along the entire Carolina coast line. Wrightsville Beach is just across a draw bridge from Wilmington, as well as the luxurious Landfall Country Club. If you live in the Wilmington area you will definitely spend time at Wrightsville Beach, whether its walking or running "the loop", enjoying live music, indulging in food and fun at Blue Water or simply taking in the entire beach scene at Johnny Mercer's Fishing Pier. Listed below are homes for sale in Wrightsville Beach, NC. 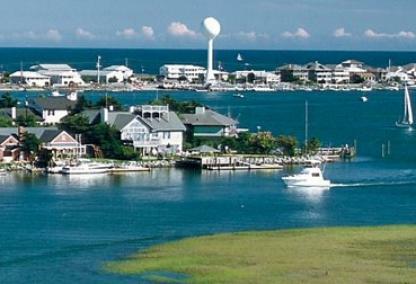 These Wrightsville Beach, NC real estate listings are updated daily from the NCRMLS. For additional information on any of these Wrightsville Beach, NC homes for sale, just click the "Request More Information" button located on the detail page of each listing. And to view any of the Wrightsville Beach listings you are interested in, click the "Schedule a Showing" button displayed on every property detail page to contact us and set up a time. In addition, we can provide you with disclosures, past sales history, dates and prices of properties recently sold nearby, and more. And, if you haven't already, be sure to register for a free account to automatically receive email alerts whenever new Wrightsville Beach, NC homes for sale hit the market that match your specific criteria and save your favorite properties for quick and easy access.